What it does: No need to be subtle when it's now so easy to move into the deepest, most dramatic range. Find all the intensity of a liquid liner in one simple stroke. Silky formula glides on. Stays on all day. Never needs sharpening. ""Smoke"" with the smudge tip on the opposite end. Ophthalmologist Tested. Explore the entire range of Eyeliner available on Nykaa. 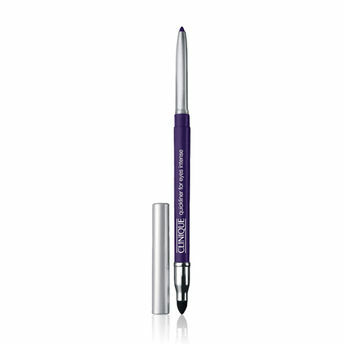 Shop more Clinique products here.You can browse through the complete world of Clinique Eyeliner .Alternatively, you can also find many more products from the Clinique Quickliner For Eyes Intense range.